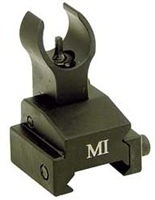 The MBUS (Magpul Back-Up Sight) is a low-cost, color injection molded, folding back-up sight. 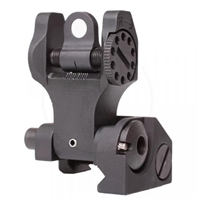 Machined from 6061-T6 aluminum and military specification hard anodized, our Rail-Mount Fixed Front Sight is both lightweight and durable and is the perfect complement to our A1.5 Fixed Rear Sight. 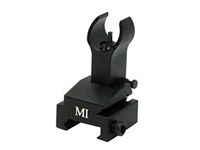 Machined from 6061 aircraft grade aluminum and Military Specification Hard Coat Anodized, our Fixed Back Up Iron Sight is both lightweight and durable.